This blog in itself is a new adventure for me. I remember as a child sitting at the desk my Dad built & drawing squiggles across the paper with a pen. I just knew all those lines were a story that someone could read even if I couldn't. In school reports were my favorite assignment and they always came easy. Ask me how I am & in only seconds I'll be telling you a story. To me the world is full of stories waiting to be told. My favorite story of all is the Bible, but it doesn't stop with Revelation. The inspired Word of God does but God continues to write His Story throughout history and it continues through you and me right on to our children and grandchildren.I cannot wait for Heaven when I will have eternity to hear and share all the stories since Adam first breathed his first breath. The storyline of God is better than anything anyone could make up and 3D movies can't hold a candle to the reality of His work. For years I have had a passion to tell stories and many have encouraged me to share them through publishing or a blog. So here I am to share His Story in Our Adventures of this life. I hope you will find them encouraging and honest.  Most of all I pray you will see Jesus in the midst of all the stories and it will help you see him in the midst of your own stories as well. If and when I share heartache or need it isn't so you can fix it, God has that under control, it is so you can see Him at work. I have lived long enough to know that his promise in John 16:33 is absolutely true, so I promise there will be stories of need or pain, but take heart and see how great our God is! I added a page for sharing prayer requests & needs because it is good for us to pray for one another. If you would like to be one of the prayer partners or if you have a prayer request or praise please make sure & go to the Prayer tab. I miss the days when I had a list of needs to keep in prayer. It helps to get your mind off yourself and what an encouragement it is to your own heart when you see God move in answer to prayers you have prayed. I pray this will be a blessing to everyone who participates. To find the stories go to the "Our Adventures" tab. As a daughter, sister, friend, wife of 20 years, and mother of 7, Misty Sunshine has experienced many things but Jesus has always been her guide. It is her desire to pass on some of the encouragement and things she has learned along the way to encourage you as well. When life is full of rainclouds, look to the Son. 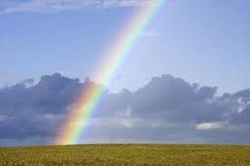 You will find a rainbow of promise.